Award-winning author and leading expert in Australian Studies, Professor Labao Wang, has been named as the new Director of the Australia-China Institute for Arts and Culture (ACIAC). 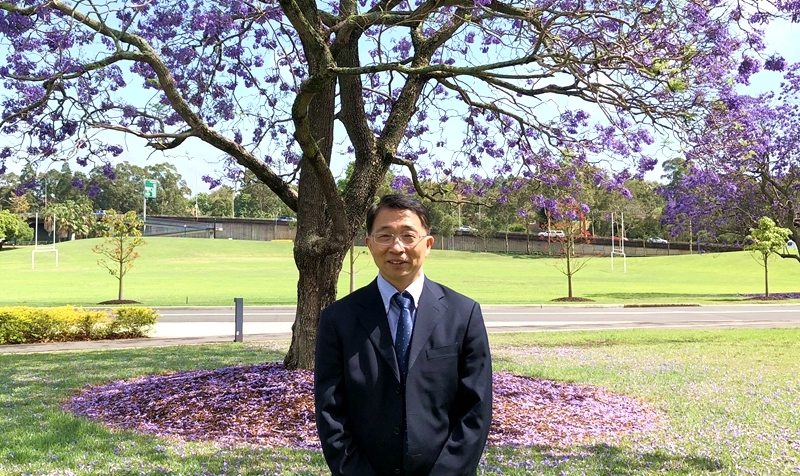 Vice-Chancellor Professor Barney Glover has welcomed Professor Wang to the Institute and Western Sydney University. “Professor Wang brings to the Australia-China Institute for Arts and Culture a deep understanding of Australian culture,” says Professor Glover. After obtaining a PhD in Australian literature, Professor Wang has been active in the Australian Studies network in China as the Director of the Australian Studies Centre and former Dean of the School of Foreign Languages at Soochow University. His monograph, A History of Australian Literary Criticism, won a national award in China in 2015, and the Australia-China Council book award in 2016. His research interests include Anglo-American literature and postcolonial literatures in English, Australian literature, literary criticism and theory, short fiction as a literary genre, literary semiotics and language teaching. He has published widely in China and overseas. ACIAC is positioning itself as a hub and national resource centre for cultural exchange between Australia, China and the Sinosphere (including Taiwan, Hong Kong, Singapore and other centres of Chinese culture), and for collaborative action in the arts and cultural fields. It is building on the strengths of Western Sydney University and on existing exchange programs in the University. The Institute will enhance existing exchanges between the University and partner universities overseas, particularly in China, Taiwan, Hong Kong and Singapore. It is launching significant new research programs of relevance to the Australia-China relationship, and will engage with the local community in Western Sydney and particularly with ethnic Chinese groups, businesses and individuals. Professor Wang commenced as Director on 1 November 2017 and succeeds the inaugural Director of the ACIAC, Professor Jocelyn Chey. Professor Chey steps down from the role of Director, having led its establishment as a vital gateway for cultural research and exchange between China and Australia. As well as forming an active research team, Professor Chey has overseen the development of an innovative Masters degree in Chinese Arts and Culture, planned to commence in mid-2018. Professor Chey will continue to be involved in the Institute in an advisory role.